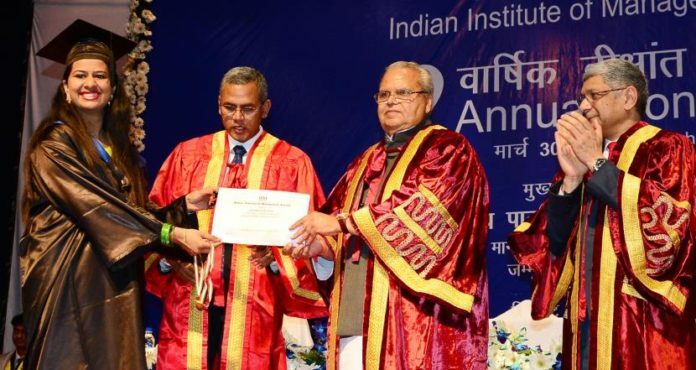 Jammu and Kashmir Governor Satya Pal Malik Saturday expressed displeasure over the quality of education in the country and said “it is because successive central governments had failed to provide adequate budget to the sector”. He also criticised the affluent class for not doing enough charity and said “if I get the power, I will impose cess on these people to improve education system”. “I feel pain when the society respects people who have turned powerful by tax evasion, looting money from banks and are dishonest. “The affluent class are not doing charity. Our ‘Seth’ (rich) can spend Rs 1,000 crore on the engagement and marriage of his daughter but cannot give Rs 500 crore to any university. If I get the power in my hand, I will force a cess on such people so that we can improve the standard of our education,” Malik said, addressing the second convocation of Indian Institute of Management (IIM), Jammu. He said the country is lacking in the quality education even after 70 years of Independence. “The quality education, as it should be in the country, was not here. I have been in Parliament for three-four terms and noticed that when budget is passed, every other sector gets time for discussion while there is no discussion on education budget which is passed without any discussion,” the governor said. He said the politicians boast of receiving invitation cards for the marriage ceremony of affluent people and rush to the venue but “I feel the farmers, labourers, industrial workers and educationists deserve more respect and when it will happen, the development scenario in the country will change”. He said his administration has made an effort to improve the education system in Jammu and Kashmir and sanctioned 52 new colleges. He said he fought to get an industrial package at par with the Northeast to attract investment in the state. 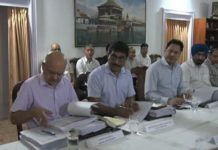 “There is a lot of opportunity for investment in Jammu and I would like the youth of the state to be job providers and not job seekers,” he said. During the convocation ceremony, the Governor awarded meritorious students with medals and certificates. A total of 62 students were awarded with Masters in Business Administration (MBA) degrees.